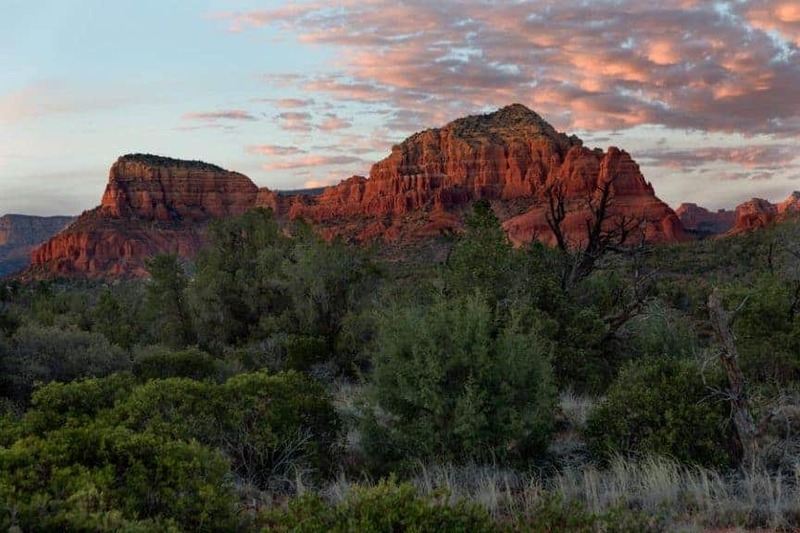 Whether hiking in the desert of Arizona or shooting a portrait in Minnesota, having a survival kit on hand is always a good idea. When you head out on a road trip in the middle of winter or embark on a long hike in the mountains, you always make sure you have a survival kit in case you end up in the ditch or fall and get injured, right? Having a Portrait Session Survival Kit is just as important for photographers. Have you ever been on a photoshoot and had a client lose a button, bust a zipper, or get bitten by mosquitoes, and wish you could do something about it? I certainly realize that the consequences of a blown zipper, missing button, or a bug bite may not be life threatening (at least in most circumstances), but having items available to handle these small emergencies will wow your clients, ease any resulting stress, and help keep your session on track. In this article, we're going to talk about a number of items you should consider putting in your portrait photographer's session survival kit, along with a few ideas on how they might help you save the day. Whether you're just starting your photography business, or have been shooting awhile, I hope you'll find some suggestions here that will help you avoid disaster or make your next photo shoot go even smoother. We're also going to discuss a few additional items you'll want to add to your survival kit if you're a wedding photographer. You can't get a “do over” on a wedding day, so being able to help minimize the impact of minor emergencies that crop up will be a godsend to your clients and help you keep the wedding timeline on schedule. I primarily shoot high school seniors and a few families here and there, so I don't have as much potential for clothing malfunctions as wedding photographers do, but one thing I deal with constantly is wayward bra straps. Today's fashion designers don't seem to consider the fact that it is nearly impossible to wear a bra under their clothing without bra straps peeking out. Having bobby or safety pins in my survival kit would help me better manage this issue. So, if you're a portrait photographer, here's a list of items that you should consider having on hand when you head out to a shoot. It probably isn't necessary to have ALL of these in your camera bag if you're doing an outdoor location shoot, but having them in your vehicle or nearby if needed is a good idea. 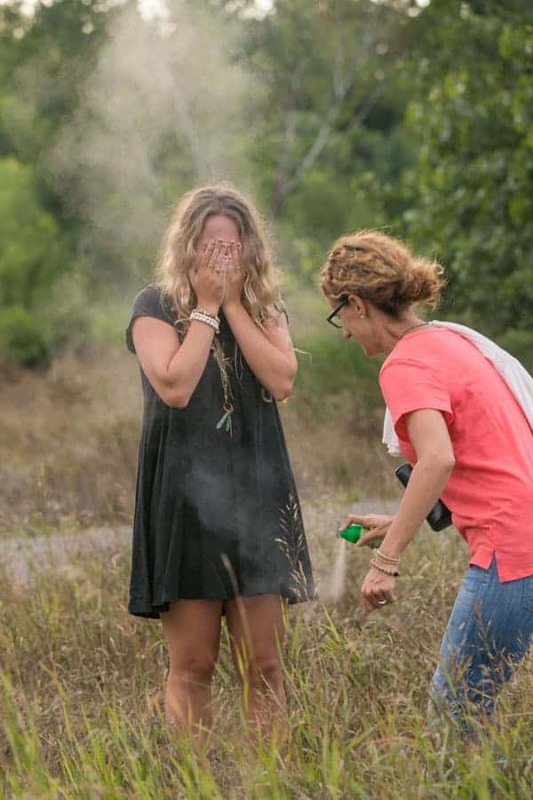 Bug spray is one of the most used items in my portrait session survival kit. Mirror – the use for this may seem obvious, but mirrors can also come in handy as a photo prop for a reflection photo, or even as a light reflector. Of course, the main use is so your client can check their hair and makeup during the shoot, but in a pinch, mirrors can be used for reflecting light, or even as a prop. Translucent Powder – if you shoot in the hot summer, faces tend to get shiny, so having translucent powder on hand to minimize shine can be extremely helpful during the editing process. Bobby Pins – if you need to bring out your inner “macgyver”, bobby pins may be your tool of choice. From holding down flyaway hair and positioning wedding veils to pinning bra straps out of sight, bobby pins should probably be in everyone's survival kit. Safety pins – if you have clothing that doesn't fit properly, is missing a button, or have bra straps that won't stay put, safety pins can be your friend. Clothes pins, small clips or clamps – these also work wonders for adjusting clothing, securing stray branches out of a shot, and even securing a bed sheet to a tree to make a makeshift dressing room. Flat Sheet – I often shoot senior photos in outdoor locations where bathrooms and dressing rooms are not readily available for my clients to change outfits. I always bring a flat bed sheet along so my client's parent and I can create a makeshift dressing room with it. It can also be used for a clean place to sit if necessary. Since it can be folded up to a small size, hiding it from view isn't difficult. The sheet fits right in my backpack, and is something I wouldn't go to an outdoor senior portrait shoot without. Bug Spray – this is one of the most essential items in my camera bag besides my camera gear. I live in Minnesota, and shooting during the evening in the summer is prime time for the mosquitoes to come out. Having bug spray on hand ensures that we don't get eaten alive and makes the session more enjoyable for everyone. You can't see bug spray in photos, so you might as well be comfortable. Lint Roller – every little piece of lint shows up in photos, especially against dark colors, so having a mini lint roller on hand will save you a lot of editing time on the back end. If your client hugged their dog on their way out the door to their shoot, chances are, you'll be happy you have that little roller in your bag! Or, it may only be a few stray hairs, but having a lint roller available to clean it up will be a timesaver. Tide Stick – accidents happen; your client brushes up against a something or catches their shirt in the car door, and you need something to get the grime off their favorite outfit. That little Tide stick will make you a hero. Dry Shampoo – Spray it on sweaty arms and legs to minimize the greasy skin look and feel refreshed at the same time. I haven't personally tried this yet, but a number of photographers in a group I'm in swear by it, so I think it's worth giving a try. Baby Wipes and Hand Sanitizer – great for cleaning dirty hands, wiping down a place to sit, removing smudges, etc. It never hurts to have a wipe or hand sanitizer around. Bandaids – cuts and scrapes happen, and having bandaids available when they do can be a lifesaver. String – ever need to tie back a limb from encroaching into your frame? Keeping a generous length of string in your bag doesn't take any space at all and could be just what you need to help you get the right shot. Water – it's good to stay hydrated, especially on hot summer days. I keep a cooler of bottled water in my vehicle during shoots and offer it to my clients to make sure they stay hydrated as well. PEZ Dispenser – Ever deal with uncooperative children during your photoshoots? You might want to consider mounting a modified PEZ dispense to the hotshoe of your camera. You'll get the kids' attention, and the bonus is that you can give them a candy from it once you have the photos you need. Win, Win! Check out this article for information on how to modify a PEZ dispenser to fit your camera's hot shoe. Tote Bag – my senior shoots are often out on location, and it is necessary to bring along an outfit or two to change into, as well as shoes, jewelry, props, etc. If the client forgets to bring a bag to tote around all of their stuff, it's nice to have a bag handy for them to use. This will help you keep your shoot moving along, and eliminate the need to backtrack to their vehicle every time they need to change clothes. These items don't take up a lot of space, and can easily be put into a small bag to keep in your vehicle for minor emergencies during a shoot. I would also recommend keeping a similar kit on hand in your studio because some of these emergencies can happen there as well. While most of these items address incidents that can happen during a typical portrait session, those of you who are wedding photographers know that there is another whole set of potential issues to deal with on a wedding day. With so many people and details to photograph, the likelihood of something going awry is even greater. Being the one who has the item needed to save the day can come in really handy, and help you keep the timeline on track. The items below, in addition to the essentials listed above, will help you put together a wedding survival kit that will give you the best chance of handling most wedding day emergencies. Benadryl – the last thing you need during wedding day photos is an allergic reaction that results in blotchy, itchy skin. Many minor allergic reactions can be minimized with Benadryl, so it's a good idea to have some on hand. Aspirin – whether too much champagne the night before or the stress of the wedding day, someone is bound to need aspirin…hopefully it's not you! Sewing Kit – with all of the people in new and rented clothing typically found at a wedding, someone is bound to lose a button or pop a zipper. Being able to fix it on the spot and keep the day moving is invaluable. Dental Wax – this is one of those insider tricks that can be a game changer when it comes to getting ring shots. Get some dental wax (used for braces), and mold it to securely hold the wedding rings for your detail shots. Pretty Hangers – nothing is worse than photographing a beautiful bridal gown and bridesmaid dresses on ugly metal hangers that look like they came from the dry cleaners. Having a few pretty hangers on hand will add a nice touch to the photos. Small scissors – you never know when you'll need to cut something – a loose string, strings or straps from dresses, or the best man's wristband from last night's pub crawl! Having a small scissors in your kit will definitely come in handy. Lighter – when photographing the details, it is nice to have the candles lit without having to track down someone from the venue to light them for you. Portable phone charger – your phone is likely used constantly throughout the wedding day – using the GPS to get to the venue, texting with your second shooter, checking the timeline, and taking behind the scenes photos throughout the day. Having a portable phone charger with you ensures that you won't run out of battery power on your phone just when you need it the most. Tape -with all of the details that are photographed during a wedding day, tape can come in handy for holding things down or keeping items together. One common use is holding envelope flaps down when photographing the wedding invitation details. So there you have it, the Portrait Photographer's Session Survival Kit. I'd love to hear your feedback on these items – are any of them in your kit, and if so, when have you had to use them? I'd also like to hear about your session emergencies and suggestions for additional items that should be included in The Portrait Photographer's Session Survival Kit.